My Journey started when I said "Yes" to Life! 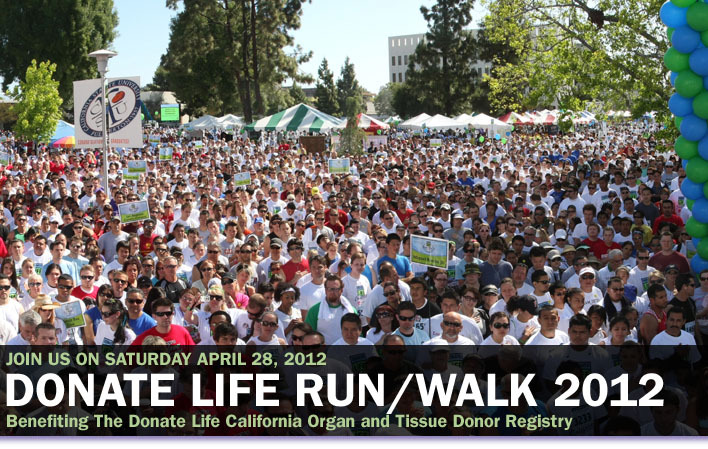 A non-competitive 5K/1K Run/Walk to educate and inspire the community about organ and tissue donation while benefiting Donate Life California Organ and Tissue Donor Registry. 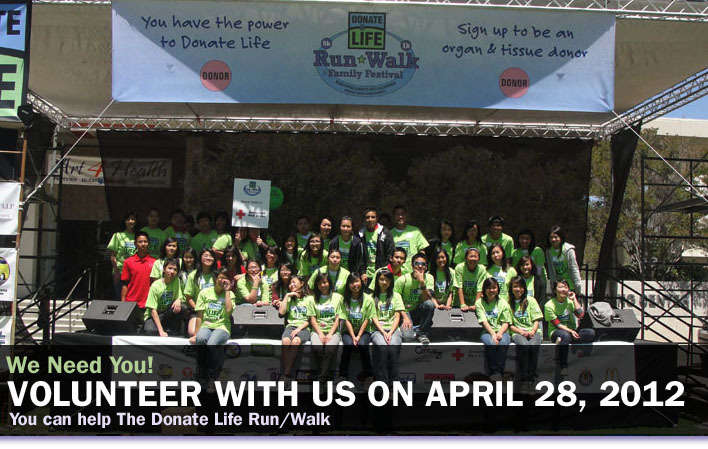 Saturday APRIL 28, 2012. 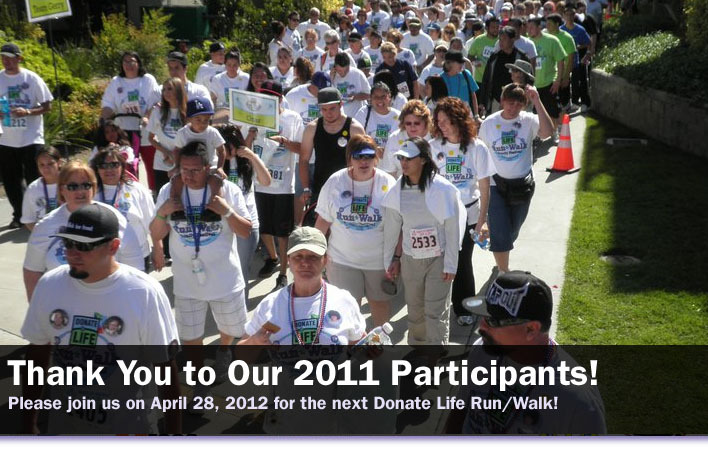 The race celebrates the last days of National Donate Life Month. California State University, Fullerton campus, around Intramural Field. Register by mail, fax, or online. Registration begins at 7:00 AM race-day. $35 for runners & walkers. All REGISTERED participants receive a FREE T-Shirt!